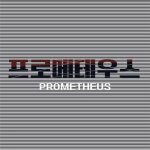 "Prometheus", a 30 billion won drama is coming out in 2018. Based on the North and South nuclear conflict, this action drama is collaborated by director Choi Ji-yeong and chairman Jeong Seung-woo. The disappearance of top North Korean scientists who are guardians of the truth behind the North Korean nuclear bombs and missiles sets the stage for this epic drama. Once the world discovers that the scientists have gone missing, they dispatch spies to search for them, including South Korea's Chae Eun-seo and North Korean defect Park Hoon. As the South Korean agents race against those of other countries to find the scientists, they stumble across a genius girl named Song Chae-yool who changes the game. Production company JMG stated that the intrigue of the only divided countries, North and South Korea, will appeal to viewers worldwide. It's already pre-selling into international online platforms. "Prometheus" will be filmed in five different countries and it will cost about 30 billion won. The filming begins next year. Yoon Kyun-sang and Jung Hye-sung to star in "Doubtful Victory"
Kang Hye-jung likely to star in "Jugglers"